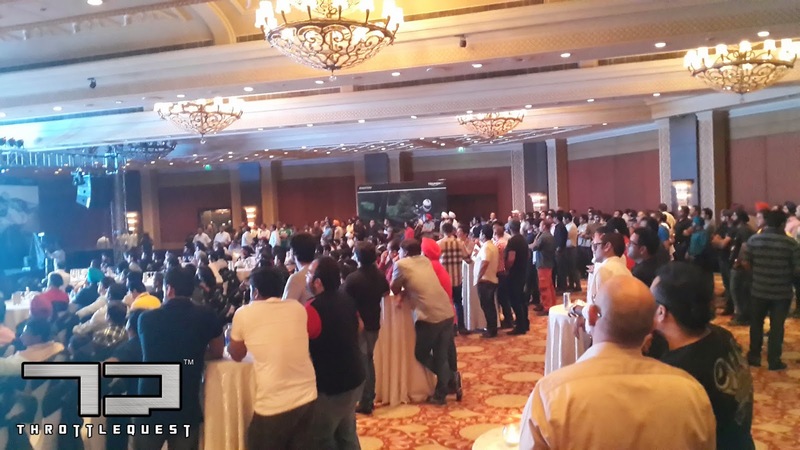 The wait is finally over, so said the MD at Triumph Motorcycles India, Mr. VimalSumbly as he addressed a crowd of “bikers”. 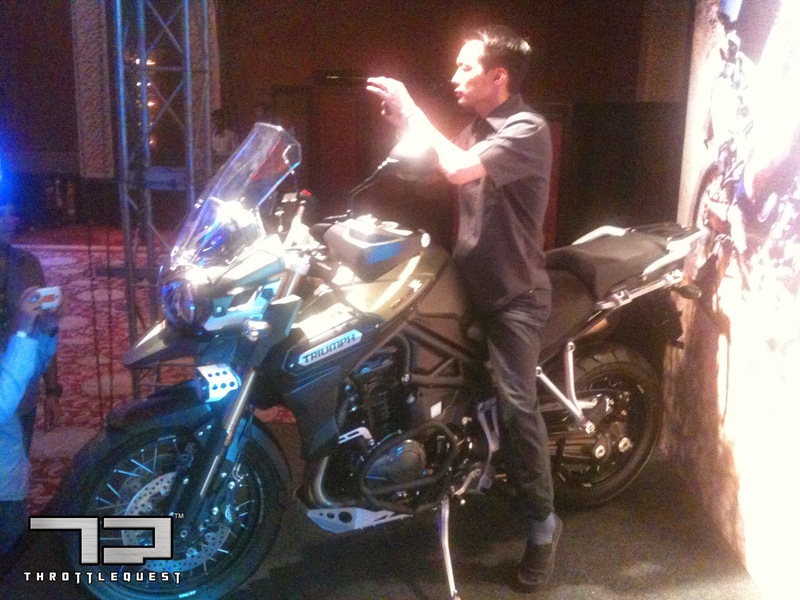 Triumph officially declared their showroom in Delhi as Open on the morning of 4th June 2014. This was followed by a launch event at the Taj Palace. Attending the event were several familiar faces from the motorcycle fraternity from Delhi, including Dr. Arun Thareja, Founder of GODS, Joshua John who runs and organizes the “Delhi Breakfast” Rides, Jay Kannaiyan along with sanDRina (a 1998 Suzuki DR650) undertook a 3 years and 3 month journey covering ~103,200 kms through 33 countries and many others which would make the list endless, but this is not why we were here. That said, all thanks to Sid Das who has been great at client servicing and for having is come over and be a part of the success. 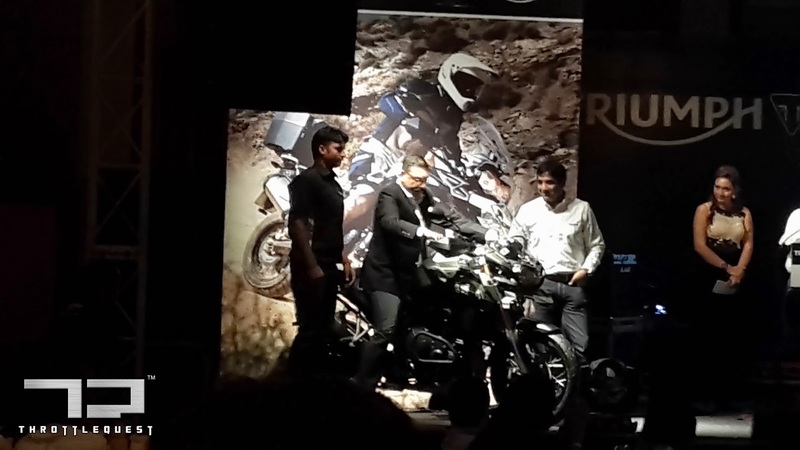 Braving peak hour Delhi traffic, we were here for what Triumph called the official launch of their Delhi Showroom post successful launches in Bangalore, Hyderabad, Kochi, Pune, Ahmedabad and Mumbai. Scheduled to kick off at 7pm and post several understandable delays the event finally got underway closer to 8pm. It started with a host trying her best to get the crowd roar as loud as one of the Triumphs except everyone attending seemed to have come with stock throats and had forgotten to quip themselves with an Akrapovic throat to scream loud with excitement. Being excited about getting your hands on a Tiger 8C or a Daytona is one thing but do we really need the average 35+ year olds shouting like a bunch of school kids to a Bollywood star entry? I think a few did brave the embarrassment and went berserk followed by giggling. Some men in India! Mr. Vimal Sumbly took center stage and spoke a bit about Triumph’s 100 years of history, it’s sales achievements over the years coupled with some footage of the various models manufactured through the years and post shutdown of its factory in 1989. If you didn’t know this already, Triumphs first motorcycle rolled off the line in 1902 known as No. 1. This was one of the company’s bicycles, fitted with a 2-hp Minerva engine made in Belgium. 1905, Triumph produces its first motorcycle completely in-house. It’s powered by a 3-hp engine and has a top speed of 45 mph. Triumph had caught on and there was no turning back and what followed were motorcycles with names that will go down in history. Post the history lesson, Mr. Sumbly proceeded with explaining their strategy for India and broadly how they viewed a potential customer. Some motorcycles would come in through the CKD route while others via the CBU. They were in for the long run and so wanted each customer to get the full experience from pre purchase which included trying out the range of products on offering and making sure that the high level of service continued post purchase with service, something that Triumph made sure was ready before their customers took delivery of their products was make sure their service centers were up and running. It’s time we got talking to the few lucky ones that were handed keys on stage for being the first ones to book their Triumph and get their thoughts on sales, service and spares. Hopefully spares will be at a later stage!! The mood was right; the lights were bright enough to make out the several motorcycles strategically placed all over the hall covered in black satin. 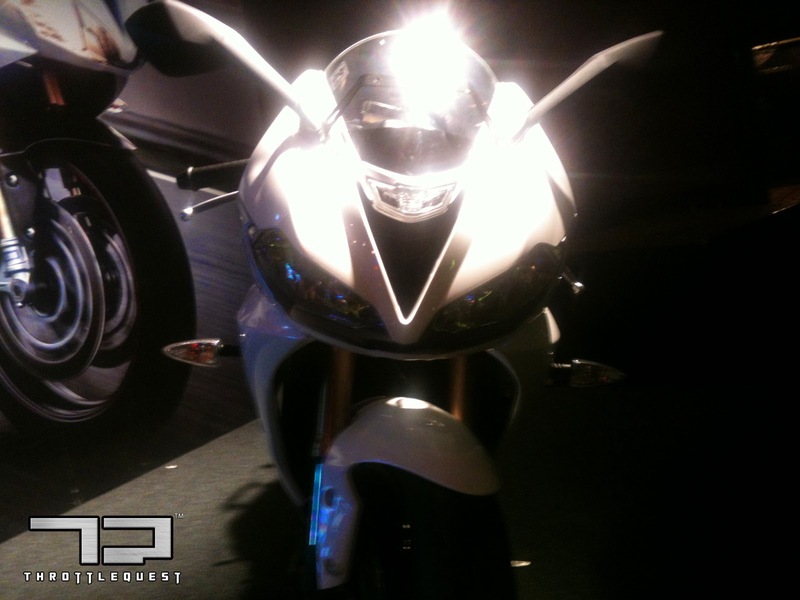 It was time to unveil each post a brief video intro that told you a bit about the motorcycle. 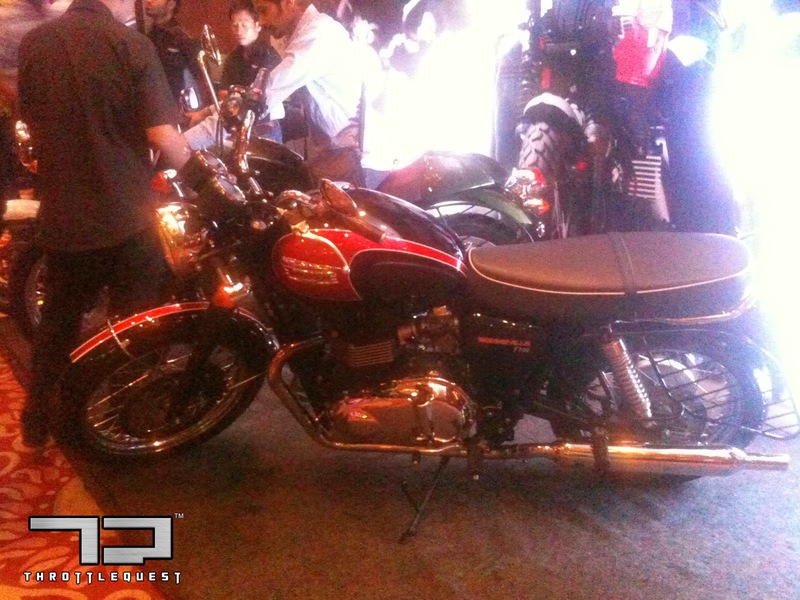 The first Triumph that looked upon the audience was the Triumph Tiger Explorer followed by the Triumph Daytona, the Triumph Street & Speed Triple from the roadster series, the Triumph Thunderbird Storm and Rocket III from its cruiser series and finally the iconic Triumph Bonneville, the Triumph BonnevilleT100 and the Triumph Thruxton from their classic series. Followed each unveiling was nothing short of sheer Blasphemy; each motorcycle was revved until its nuts went loose and no! I know what revving a motorcycle means. What we witnessed was similar to a first timer revving a big capacity bike. As a big bike owner, you would never allow that but I guess this can be attributed to the excitement and mood at that point of time. As the accelerator was left open for several seconds, my partner and I looked at each other and literally cringed. We hope no one gets those particular motorcycles as brand new bikes! As the evening progressed, the crowd settled into a lighter mood with most of the questions revolving around beverages to drink and stuff to eat, this coupled with sharing thoughts and experiences on Triumphs offerings in India. Everyone seemed to jump to the opportunity of sitting on their favorite Triumph and get clicked. Some were even allowed to start and further rev the bikes to whatever was left inside that casing. 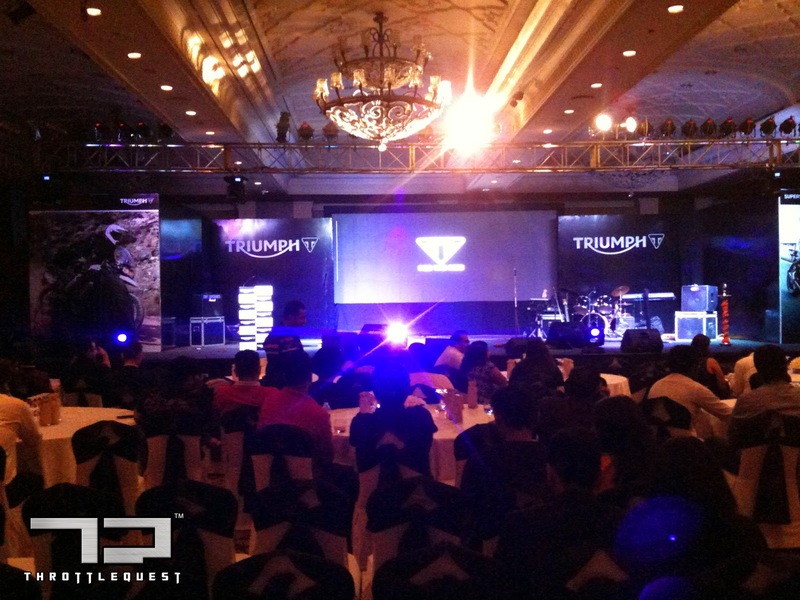 Overall, we enjoyed the evening, the hospitality extended by Triumph and its team for allowing us to come and be a part of this event. We hope and are confident that Triumph will help fill a pretty big gap on the various motorcycle segments and more importantly will take care of its customers post sales. Verdict – everyone should have at least one Triumph!